Are you concerned about the health of an employee or colleague? Has their behavior changed recently? Do they not seem like their usual self? Although it may not be your role to diagnose a mental health problem or provide counseling, (that is what health professionals are for) if you are concerned about the mental health of a colleague/peer, there are ways you can help. Helping the person find further information and support services can also be extremely useful, as this may be overwhelming for someone with anxiety or depression. Find out what help is available within your workplace. Do you have access to an Employee Assistance Program (EAP) or counselling services? Consider who should be having the conversation. Are you the best person or would another colleague/ manager or someone from HR be more suitable? Think about the most appropriate time and place. Find somewhere private where you and the individual will feel comfortable. You may feel uncomfortable, but don’t let that deter you. Whether you’re a manager concerned about someone in your team or speaking to another colleague, the following tips will help you with the conversation. Don’t worry if you don’t quite know what to say. By being supportive, genuine, and a good listener, you’re helping to make a difference. Even if things are a little awkward, the conversation will be easier when approached with respect and genuine concern. If the discussion is not immediately successful, your actions may still make a difference. If the person does not want to talk about it, respect their choice, but leave the door open. The person may choose to act at a later stage or continue the conversation with others. You can also learn from the experience. "R U OK?" 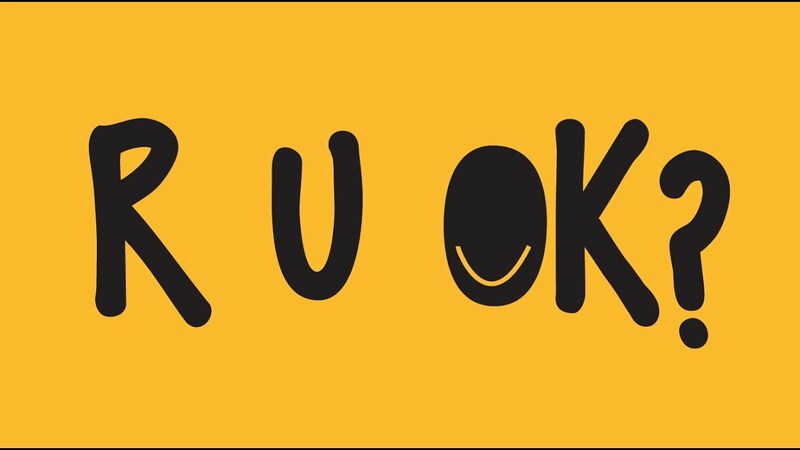 is an Australian-wide workplace mental health initiative whose mission is to encourage and equip everyone to regularly and meaningfully ask "are you okay?" A simple way to get the conversation started. Start the conversation today. Help make a difference.